Fox NewsJames Rosen appearing on Fox News. 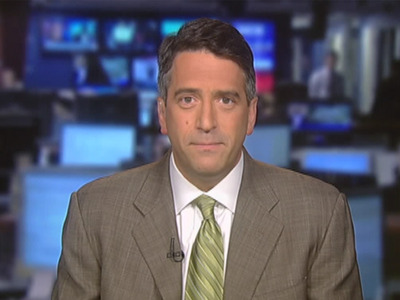 Fox News’ Chief Washington Correspondent James Rosen is back at the center of another Obama administration firestorm. Last month, the veteran journalist reported that part of a testy 2013 exchange at a press briefing between himself and then State Department spokeswoman Jen Psaki was mysterious edited out of an official video of the briefing posted on the agency’s YouTube page. Rosen discovered the video had been edited when he went to search for the exchange earlier this month after President Barack Obama’s national security advisor Ben Rhodes told the New York Times magazine he had misled the media about the timeline of the Iran deal negotiations in order to create a favourable narrative for the administration. After initially reporting that the missing portion was a “glitch,” State Department spokesman Admiral John Kirby abruptly announced last week that the video had been purposefully edited by an agency official, who claimed that they could not remember who told them to omit Rosen’s exchange from the version uploaded to YouTube. In an interview on Wednesday, Rosen told Business Insider that he was alarmed by the revelations. “It’s not often in the annals of a modern presidency where an administration is forced to admit publicly that it has sought to censor the record of its public briefings,” Rosen said. Rosen is particularly sensitive toward what some critics characterise as an alarming lack of transparency from the Obama administration. In 2013, the Washington Post revealed that the Justice Department accused the Washington correspondent of being a “co-conspirator” in a leak investigation, searched his emails for information, and reportedly attempted to physically track his movements. Rosen said he was arbitrarily designated a “flight risk,” though the State Department invited Rosen to tag along on a multi-country trip with Secretary of State John Kerry. A longtime Washington reporter who authored a book on Watergate and has covered everything from the Pentagon to the Supreme Court, Rosen said that the administration’s dogged pursuit of leakers demonstrated an “authoritarian impulse” that he hadn’t experienced in other administrations. “There’s no doubt that the Obama administration has maintained an animus towards Fox News and specifically towards me across the two terms,” Rosen said. Particularly during his first term, Obama did little to disguise his contempt for the network, which he characterised as “entirely devoted to attacking” his administration. Various high-profile journalists on the news side of Fox have occasionally felt the Obama adminsitration’s sting. During an interview with Business Insider in April, Fox News Sunday host Chris Wallace said that while his team’s relationship with the White House was also formerly tenuous, it has improved in recent years. Rosen’s reporting has also put him on ice yet again with some Obama administration officials. Though he said he had a “very good working relationship” with Psaki, Rosen said he was surprised when Psaki lashed out at him after he asked her in an email to confirm that she did not order the video to be edited. “I understand it is inconvenient for you that I have nothing to do with this given you have spent the last three weeks vilifying me on television without any evidence of my knowledge or involvement and without once reaching out and asking me, but I would encourage you to also ask the State Department if there is any evidence,” Psaki wrote. Psaki told the Washington Post last week that Fox News was implying “guilt by association” by showing video of her exchange with Rosen while running text describing the State Department’s admission to deleting the videos. Still, Rosen’s continued interest in the incident has yielded tangible results. The agency reversed course on Wednesday, announcing that it will launch a comprehensive investigation into who ordered the offical to scrub part of the 2013 briefing video.